Smart home devices may make life convenient, but they can also introduce headaches you never anticipated. Your Amazon Echo might laugh at you or your smart TV might track your every move. According to Lifehacker, a number of smart televisions from major brands feature user-tracking software that customers may not be aware of. The New York Times reports that some TVs from companies like Sony, Sharp, and Philips come preinstalled with software from a data-tracking company called Samba TV. When customers go to set up their new devices, the TV prompts them to enable Samba Interactive TV to get personal recommendations. 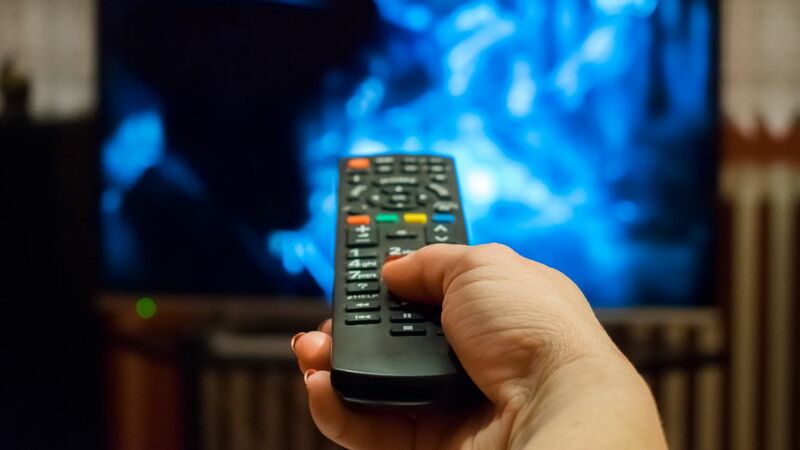 "Once enabled, Samba TV can track nearly everything that appears on the TV on a second-by-second basis, essentially reading pixels to identify network shows and ads, as well as programs on Netflix and HBO and even video games played on the TV. Samba TV has even offered advertisers the ability to base their targeting on whether people watch conservative or liberal media outlets and which party’s presidential debate they watched." This allows marketers access to an incredible amount of information about you beyond just what you watch on Netflix. Because these are smart TVs connected to Wi-Fi, Samba TV can also identify which other devices are connected to your home network. It’s not just a matter of one company like Samba TV, either. In February 2018, a Consumer Reports analysis found that “all smart TVs can collect—and share—significant amounts of personal data” through what’s called automatic content recognition (ACR)—streaming audio and/or video of what you’re doing on your TV back to third-party companies. Unless you really, really like those uber-specific ads and recommendations that Samba TV serves you, you probably want to shut it off, but how you disable this tracking will vary based on the brand of your device. For most, you’ll want to go to the main menu, then click into your settings. What the tracking system is called varies between devices, though. For a Sony TV, you may need to go back and redo the initial setup of your television. From the home menu, click on Settings and Initial Setup. The TV will prompt you to agree to various policies. You can click yes to Sony and Google’s policies, but go ahead and disable the Samba TV one. On a Samsung TV, you need to do a little digging. Go to the settings menu, then click Terms and Policies. Go to Viewing Information Services and disable SyncPlus. On an LG TV, go to your general settings and turn off LivePlus. On Roku TVs made by TCL, you’ll need to go to your privacy settings, click on Smart TV Experience, and disable the Use Information for TV Inputs setting. Head to Consumer Reports for more details about disabling tracking technology on your TV.